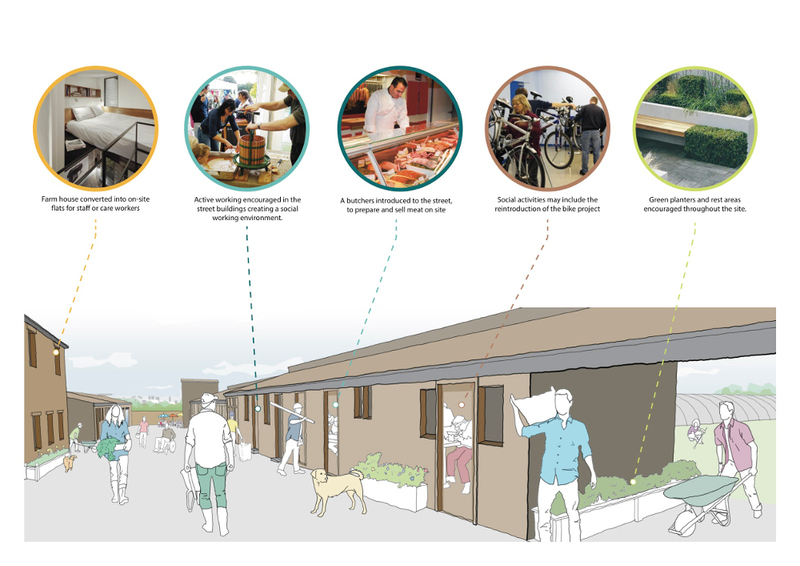 In December 2015, and carried out as part of their studies towards their degree qualification, a group of architecture students from the University of the West of England gave us a fantastic presentation of their vision for developing the Farm. The brief was to look at ways of improving accessibility around the site for people with mobility and dexterity issues, such as ramps, walkways, easy-open gates etc. 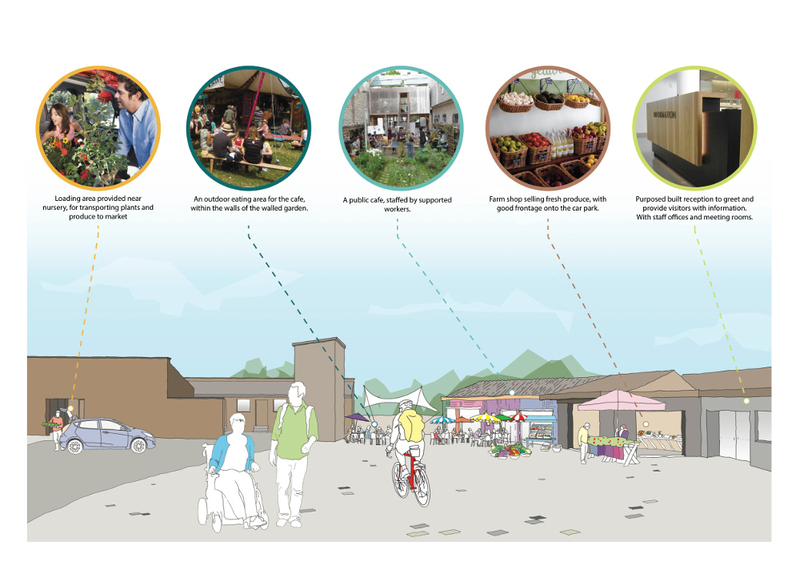 along with looking at the longer-term vision based on development ideas, such as a larger shop, a café and a learning hub. The students carried out on-site surveys focussing on people traffic, and identified ways in which we could make changes to how we use the site, and where we could create new walkways to make our jobs easier and more efficient. The visuals are very impressive, and they did a fantastic job of interpreting our criteria. This project is based on a wish list, and over the coming years we really hope to progress some of our dreams into reality.